Sports Blogging Network: Could Brian Kelly Be In Hot Seat Already? 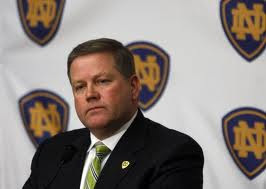 Brian Kelly is finding out that life at Notre Dame can be awful tough. Last night at Michigan, the Fighting Irish looked like they would get their first win of the season. The problem was Brian Kelly's Irish only played three quarters and not four. Michigan had a great fourth quarter and shocked Notre Dame by a score of 35-31. It now puts Notre Dame at 0-2 and Michigan State up next. For the Irish and Brian Kelly it is back to the drawing board. Yes, the Irish can move the ball and score points, but unless you play some defense, they will never beat anyone. You cannot try to have a shootout with teams week after week. Kelly will start to really feel the pressure if Notre Dame goes 0-3. Kelly left Cincinnati because he wanted a high profile job and Notre Dame was it. 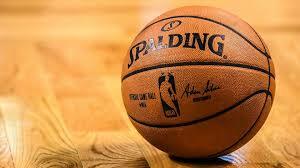 It is much tougher to get those wins when you play tough teams week after week. Toss in everyone wants to beat Notre Dame and Brian Kelly has a tough uphill climb. Kelly is finding out why no coach since Lou Holtz has been able to make Notre Dame a consistent winner. It is tough, and it can break you very quickly. It will be interesting to see how Notre Dame does against Michigan State a game they must win.